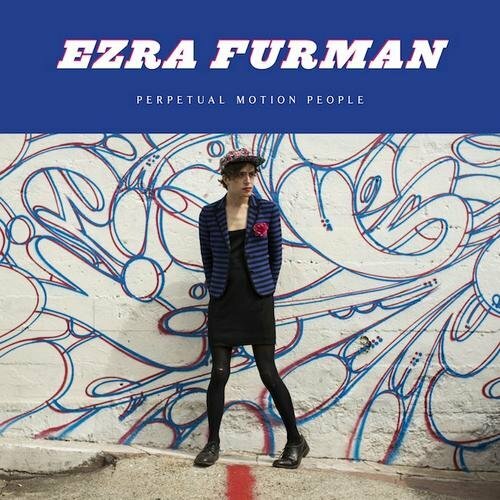 Ezra Furman’s Big Fugitive Life is his fourth album, a follow up to last year’s acclaimed Perpetual Motion People. This year’s offering is more of an EP with twenty minutes or so of music over six tracks by the guy self-described as “everyone’s favorite bisexual, Jewish, depressive, gender-fluid, rock star. Herein, six songs are equally split between up-tempo alternative pop and introspective if slightly cheeky singer-songwriter ones. “Teddy I’m Ready” opens up things in a dreamy jangle, with Furman’s voice straining the upper registers to let Teddy know that he’s “ready to rock and roll.” Helping out are a drive-in soda shop saxophone and a Spector-ish chorus that take this fairly catchy melody to a higher plane than anything else on the album. “Halley’s Comet” is somewhat disposable, and “Little Piece of Trash” takes the 50’s vibe a step further, with a touch of Queen’s cheeky attitude as well as a hint of punk snarl. Ezra Furman has a sense of humor about his incessant self-promotion and that’s good because his music doesn’t always live up to his own hype, and that’s not good.